Although nobody likes to spend salary cap money on tight ends if you are going to cash in each week at our affiliate partner DraftKings or FanDuel you will need to pick one TE each week regardless so you may as well pick the best ones. Certain weeks you will use lower tiered TE’s to fill your roster and use your salary cap dollars elsewhere but if you choose that DFS strategy then make sure you focus on tight ends that are in a passing offense to at least try to score points with receptions and then hope the yards and a bonus TD or 2 help you in the end. If you are playing in cash games or double ups you can spend more on a tight end and look at the guys on our List of Top 5 TE’s but in a GPP like FanDuel’s annual World Fantasy Football Championship (WFFC) you may have to spend less on a TE and use your salary cap money for a Top NFL Quarterback or Top Ranked Wide Receiver. Regardless, if you are still playing fantasy football in your buddy’s basement then join the 2 BIGGEST Daily Fantasy Football Sites in the world: FanDuel.com and our affiliate partner DraftKings.com. Why join them both? They compete against each other and certain weeks you will get bonus Free Fantasy Football Games at DraftKings, and on other week’s you’ll get an email for a Fantasy Football Freeroll at FanDuel. 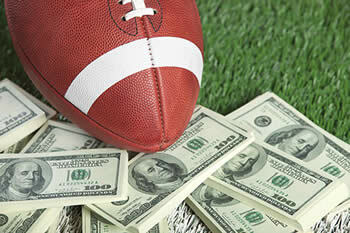 Join both and take advantage when the offers show up to win extra FREE money playing NFL Fantasy Football. He’s number 1…Period! The only concern you need to have is the Belichick factor that sometimes switches offensive philosophies week to week making him unpredictable at times. A great QB/TE stack with Brady and Gronk can some weeks make you a lot of money. 85 catches, 1125 yards…those are WR numbers wrapped up in a tight end salary cap price. He does have his 3 catch 30 yard games but he is still a great pick at an affordable price at the TE spot. If he didn’t get hurt so often he would possibly be knocking on the door of the number 1 spot. He is a favorite of Cousins and usually his first look in the passing game. Pick your spots and pray he doesn’t get injured during the game. Olsen has had 3 straight 100 yard seasons but his TD numbers were a disappointment last year as Newton found some other options. Olsen is good for yards and receptions so a great pick at DraftKings but we’ll have to see if his TD’s come back. Graham started the season slow but was in pro-bowl form by the end of the season. He is a great pick to look at for your FanDuel lineups but he isn’t always the first look for Newton so he does get some busts in certain weeks too.